In the spirit of full disclosure, I am a Starbucks® fanatic. I have enjoyed their coffees and teas over the years, but the closest Starbucks® shop is 20 minutes from my home. I am so happy that I can now purchase their K-Cup® pods so I can brew their coffee and tea at home. Now, their Classic and Salted Caramel Hot Cocoa K-Cup pods are available too. Hooray! 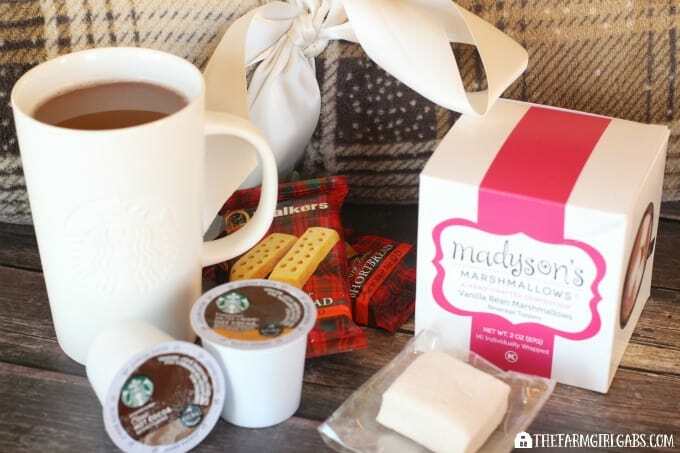 Now that winter has settled in, my family and I have been warming up with the new Starbucks® Hot Cocoa K-Cup® pods. Two new flavors, Classic and Salted Caramel, are made with real cocoa and non-fat milk. I love indulging in their delicious flavor at the press of a button. The pods can be purchased where you buy groceries. Starbucks® Classic Hot Cocoa – An indulgent favorite inspired by Starbucks®handcrafted hot cocoa. Created especially for your Keurig® brewer, each cup is made with real cocoa and non-fat milk for rich, creamy, chocolate taste, time after time. Starbucks® Salted Caramel Hot Cocoa – Discover velvety cocoa, perfectly complemented by a pinch of sea salt and a dash of natural caramel flavor with our NEW Salted Caramel Hot Cocoa K-Cup® pods. Each cup is made with real cocoa and non-fat milk for a sweet chocolate sensation and a savory flair. You can use these new pods to create a Warm Winter Fun Hot Cocoa Bar. I love to have a hot cocoa bar ready for the kids after a day playing in the snow, sledding or just because it’s cold. It’s the perfect way to make your own hot cocoa creations by adding ingredients that you like. 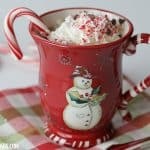 You can check out my hot cocoa bar suggestions below, or you can add your own as well. You can even download, print and frame this fun chalkboard winter printable too. What are some ways you like to warm up during the winter months? 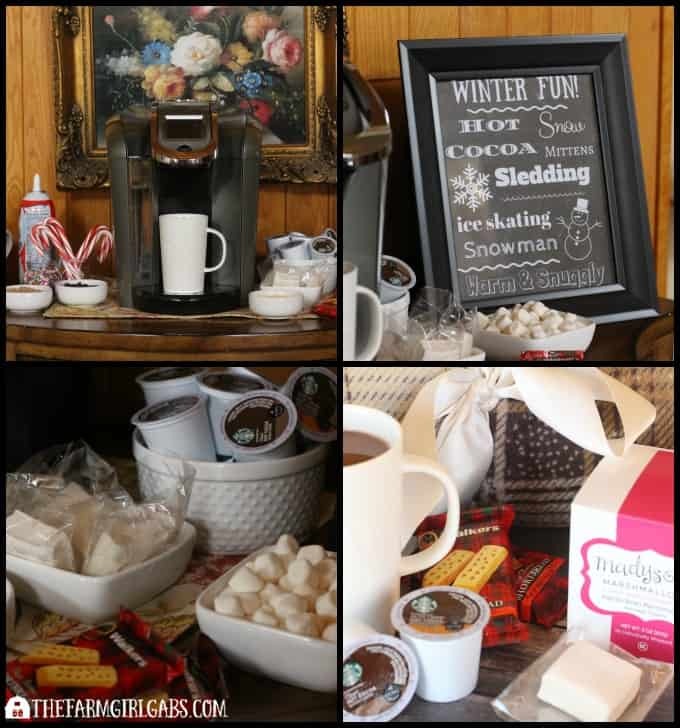 This Starbucks® Warm Winter Fun Hot Cocoa Bar is the perfect way to warm you up heart and soul.